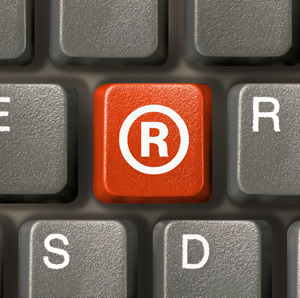 Registering a trademark is one of the most important ways for a business to protect its intellectual property. However, for many small businesses, the prospect of registering trademarks can be daunting, and if not managed correctly has the potential to be costly and time consuming. We believe that everyone should have the opportunity to protect their trade mark, even if they are a start up business with limited finances. Our experience in trademark law dates back to 1994. Since then we have been providing quality trademark services to clients throughout the world. We are authorized representatives before European Union Intellectual Property Office (EUIPO) and are therefore qualified to act in proceedings before EUIPO on all trademark matters. Our aim is to provide an affordable, straightforward, and quality service to anyone thinking of registering a trademark in the UK or abroad. We oversee all our applications through the entire process, reporting to you at each stage. There are no extra charges for keeping you updated, or for answering any questions you may have about your application. Applying for a trade mark is a complicated process and can have many legal pitfalls. By filing your trade mark application through us, you have a better than 95% chance of your application being accepted. We will always tell you before filing any application if we think that your trade mark is unlikely to be accepted. We can provide you with guidelines for choosing a distinctive trade mark, or suggest ways in which your trade mark may be amended to increase the chances of success. We will provide this advice free of charge. We understand that there are many things to consider when thinking of applying for a trade mark. We offer a free consultation service to help you make this decision. We are happy to answer any questions you may have to ensure that you are 100% satisfied with the trademark search and application process.